Enhance the size and shape of your breasts! Naturally recycle your own fat! Dr. Jazayeri is an Orange County Plastic, Cosmetic and Reconstructive Surgeon. His decision to become a plastic surgeon was based upon a desire to combine his artistic abilities with the immediate gratification obtained by surgery. Michael A. Jazayeri, regarded by many as the best plastic surgeon in Orange County, has recently expanded his thriving practice, opening an additional office in Newport Beach to serve his growing roster of satisfied patients. People from all walks of life come to him from throughout Southern California and across the nation for the full range of plastic surgery and cosmetic treatments. He notes that plastic surgery and cosmetic procedures are not just for movies stars and “real housewives” but for any woman or man who wants to make the most of their appearance. Patients agree that the reason for the demand for Dr. Jazayeri’s skills is clear. 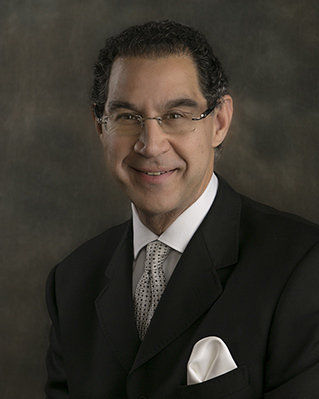 He offers decades of successful professional surgical experience and high standards with diagnostic expertise, a sense of artistry, and a friendly bedside manner. Whether a patient is coming in to explore injectables like Botox and facial fillers, a facelift, eyelid surgery (blepharoplasty), breast or buttock augmentation, or a full full-fledged makeover, Dr. Jazayeri’s depth of surgical experience and knowledge offers patients an opportunity to improve their appearance with natural, flattering results that can build confidence and generally improve their quality of life. Dr. Jazayeri understands that contemplating making a change in appearance can be nerve-wracking for anyone, so the goal is to guide our clients with kindness and personal attention, while always employing a medically sound approach. A board certified plastic surgeon, Dr. Jazayeri is committed to mastering the latest technology, expanding his knowledge base and technique. His team of outstanding medical professionals will do their best to assure that patients feel comfortable and are kept fully apprised of their situation so that they have a clear understanding of their procedure(s) and the probable result. Whether arriving at the office for the first time to explore options or when patients are ready to embark on specific procedures, Dr. Jazayeri and his caring, informed office staff are here to help each client reach have the best, most productive experience possible. Many people may hesitate about making their first phone call to a plastic surgeon’s office. Dr. Jazayeri would like you to know that, for most patients, getting a procedure is only one aspect of helping themselves look and feel more like the person they really are. Information is power. Why not call and schedule a consultation with Dr. Jazayeri today? Contact us now by calling the phone number above or visiting our contact page.